Gilded dragons grace the skies in today's update! 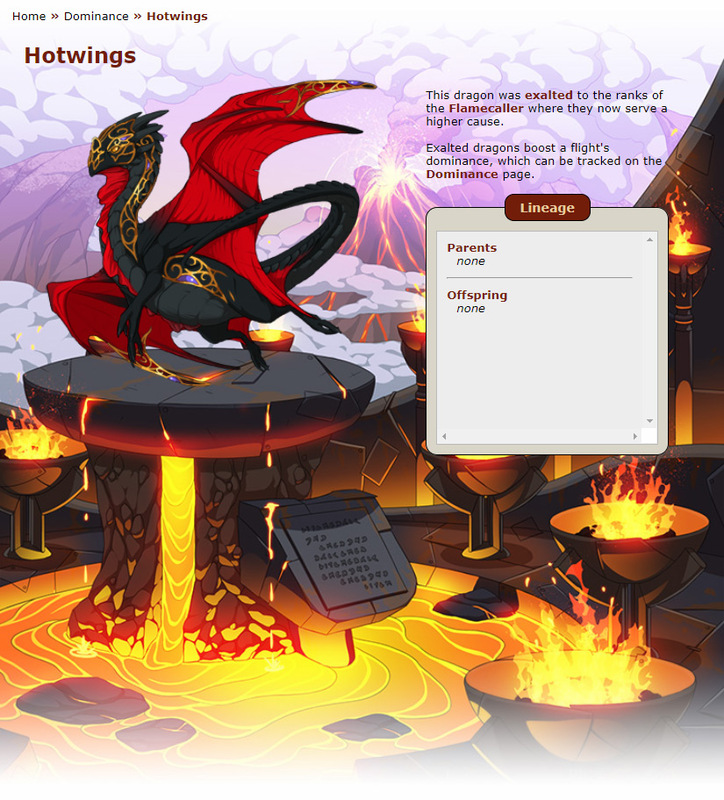 The newest tertiary gene, Filigree, applies a delicate gemmed lattice across the face, neck, and wings of a dragon in its tertiary color. Filigree is available now in the gem marketplace! A scroll that will change the tertiary gene of one dragon to Filigree. This item can only be used once and will disappear after it has been applied. Dragons with a level 10 or greater skill in Foraging or Insect Catching now have a chance to gather these elusive familiars. A shy violet that will only move when no one is watching. This is a perfectly normal thing to plant in a garden. What kind of a garden do you come from? While it won't start any fires, it is attracted to them, and anything that glows. A dragon that has closely bonded with its firebug may be able to use its sight for short periods of time. It's a pity its vision is terrible. Over at the fairgrounds, Jigsaw has gained 7 new puzzles to complete. A careful eye will help you put them back together! Please note that these puzzles may not appear in the puzzle rotation until rollover of the 24th. 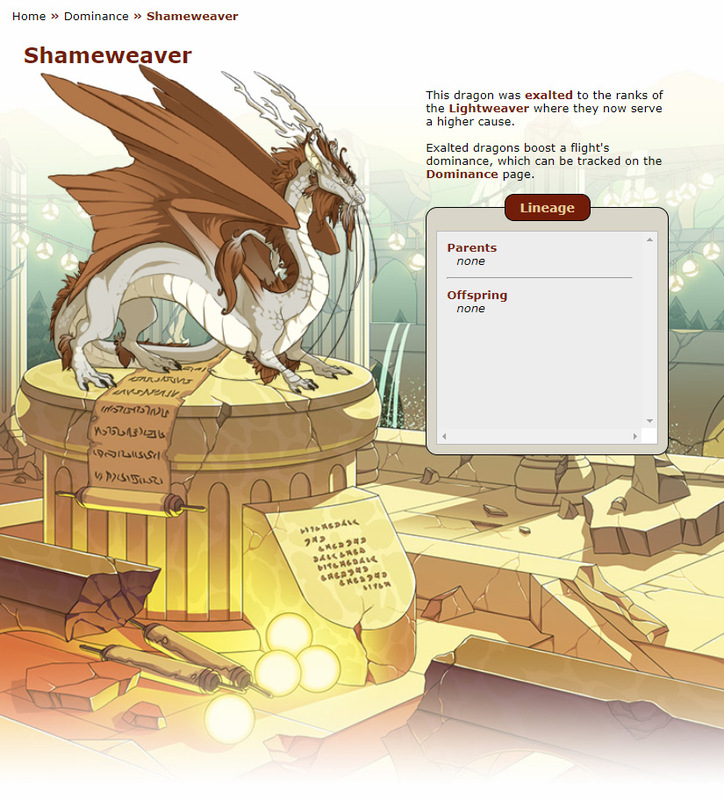 The code for exalted dragon pages has been rewritten. We are working to add pillars for each flight that better captures the individual flavor of the element. We have recently added light, shadow, water, fire, and lightning pillars for each of the flights. 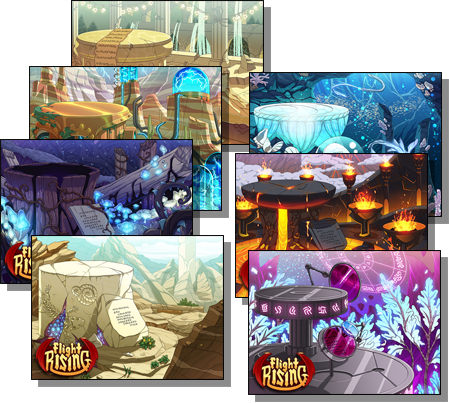 This coming Tuesday Wednesday, our final pillar will be released for the wind flight! As the seasons cycle, so do our items! Spring Breeze and Vista: Spring now have a chance to stock in the treasure marketplace. The winter items have cycled out until next year. Awesome! 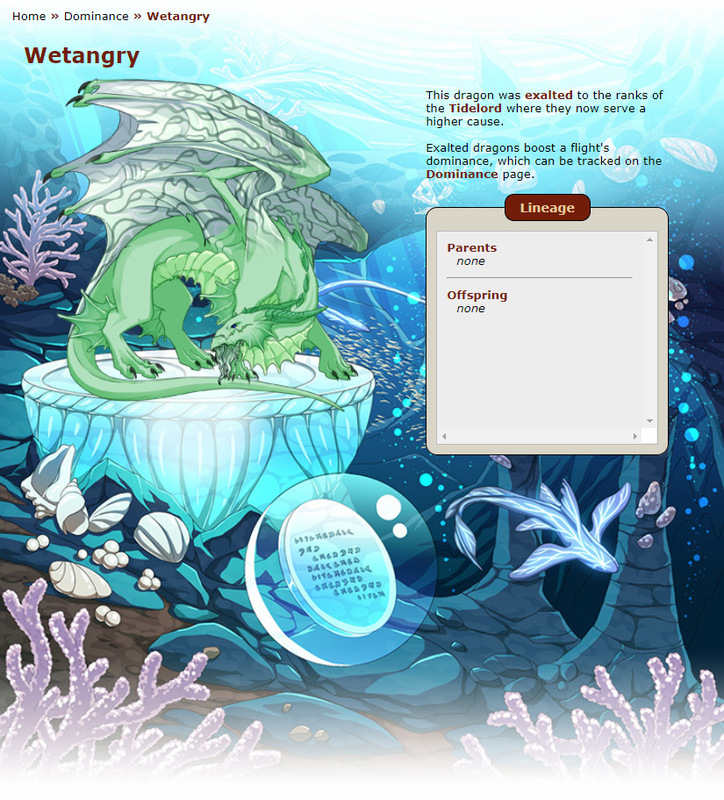 The gene is just like an accent, and it kinda makes me wish we can have more than 1 tertiary gene applied to our dragons...! And I like seeing new gathering fams. Hopefully these'll follow me home quickly! The new gene looks promising! I'm a fan of the four-legged flowers, and glad there are finally more bug fams.